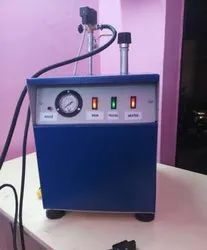 Our product range includes a wide range of steam iron, bottle iron press, gravity feed iron, industrial flat bed iron, electrical steam iron and leaf base steam iron. We present industrial Steam Iron that provides fine ironing effects for any type of fabric. These co irons are easy to clean and maintain. The feature of steam control helps to solve the problem of stubborn wrinkles in the fabric. This is a user-friendly product and appreciated for its unmatched quality in the market. Gravity feed iron also know as Bottle Iron these irons can be used commercially as well as domestically. It is far better than the domestic one such as Phillips and all. We have an expertise in manufacturing and supplying Gravity Feed Iron. Gravity feed irons have steam holes in their front portion. Steaming is done slightly above the fabric, before pressing strokes with a then dry sole plate. This steaming is required to settle the fiber before dry pressing. These irons do not have continuous steam boilers so steaming should not be done constantly. We offer this effective and durable product at affordable rates. We offer a wide range of Industrial Flat Bed Iron can be steam or electrically heated. 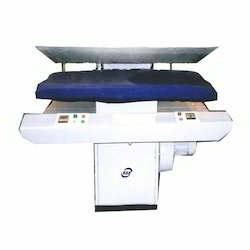 These ironing machines are manufactured in a horizontal structure and provide supreme quality ironing effect. Applications of flatbed irons include usage with bed sheets, curtains, and towels etc that are used in schools, hotels, hospitals etc. These irons are highly efficient and consume less energy. 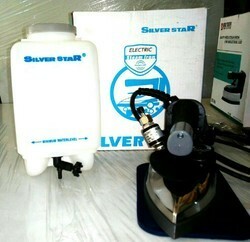 Electrical Steam Iron are used for safe finishing of sensitive fibers. We manufacture and supply various models of all steam irons for purposes like seam opening, final pressing, under pressing etc. Designed to provide low height and gravity point, these irons are easy to handle and offer fine touch up to the fabrics. Steam can be adjusted according to the type of fabric. 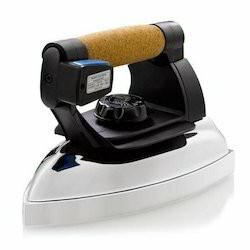 All steam irons are energy consuming and easy to maintain. With a strong commitment to providing supreme quality products, we have launched our range of premium quality Leaf Base Steam Iron. These steam irons are very convenient to use with its excellent design perfect for ironing hard to reach edges such as around buttons, zippers, delicate designs, etc. 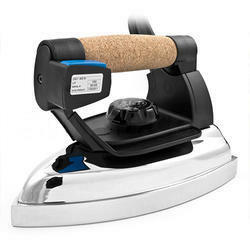 Our steam irons have excellent anti-stick coating properties which enable gliding easily across the fabric. These steam irons are available to our clients at reasonable prices. Steam Iron one of the most commonly used products in a household. 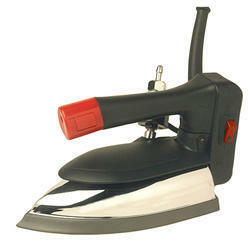 We are recognized as one of the leading suppliers of high-performance steam irons in the market. Steam iron comes with different temperature modes for a different type of fabric, enabling an easy and effective use. We manufacture this low maintenance iron under various industrial standards and verify its quality by a number of tests. 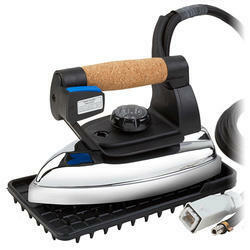 Our company is providing a vast range of Steam Iron Elements. These elements are manufactured using high-grade basic material and modern technologies in conformity with the existing market trends. The elements offered by us are examined under the supervision of our trusted experts. Furthermore, in order to meet divergent demands of clients, these elements are available in different specifications. Our client can get these elements from us at market leading prices. Our clients can avail from us a wide range of Portable Steam Boiler that is manufactured using state-of-the-art technology and latest machines.